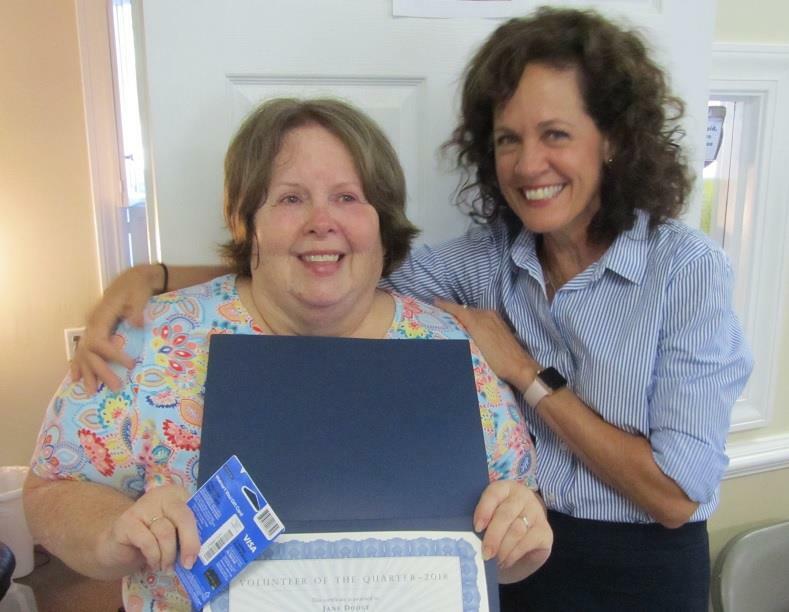 Jane Dodge is the 2018 third quarter “Volunteer of the Quarter!” Jane began volunteering with East Cooper Meals on Wheels in 2016 as a substitute packer. Since day one, Jane jumps in at any given moment. The summer months are an ideal time for many of our volunteers to travel. Jane knew how limited the number of volunteers would be on a Friday in the summer, and she knew it is one of our busiest packing days of the week. Jane fulfilled her duty as a packer one summer Friday despite her sweet dog waking up very ill and giving Jane a very big startle. Jane was very upset but arrived to pack meals so that they would be ready for our drivers. Jane certainly loves to help others and does whatever it takes to help East Cooper Meals on Wheels. “I remember the very day she I met her and I thought to myself, ‘what a nice gal,'” said Kelley Chapman, Volunteer Manager.